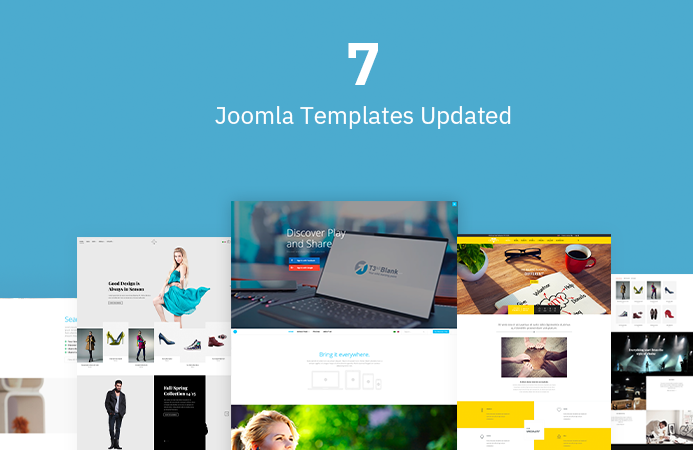 This week, we are releasing updates for 7 more Joomla templates for Joomla 3.9.1 and bug fixes. This is 6th release update batch for Joomla 3.9, we will continue the update and release more next week. 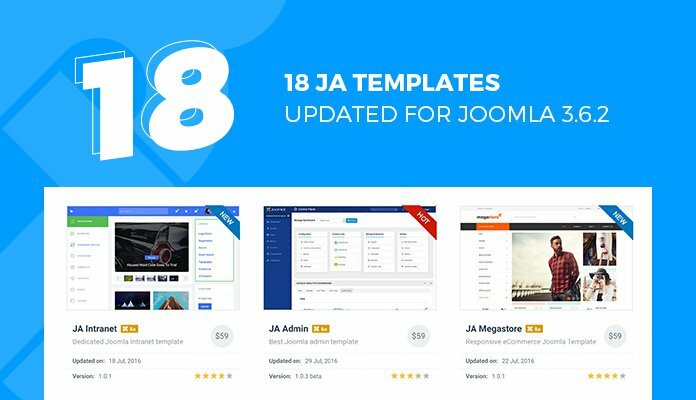 Here’s the list of the 13 templates and extensions getting updated in this batch. Here is the recap of what we have been doing for the past few months and what is brewing behind the scenes. 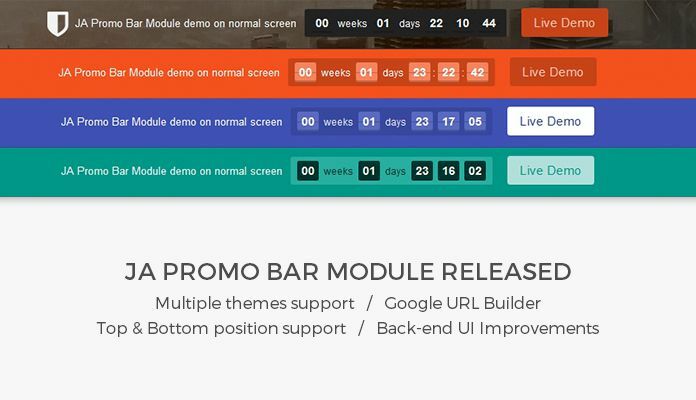 Today, JoomlArt team have just released new version for JA Promo Bar module - version 1.0.4 with new features and improvements. 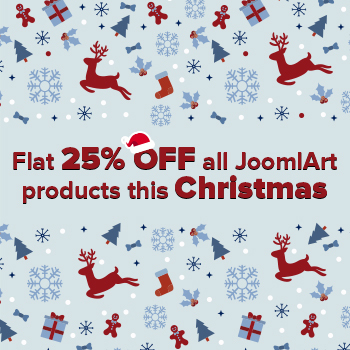 The free Joomla extension serves to display a promotion bar on the top position of your site which can includes a message, cool countdown timer, link or button, image or color background, inline image/icon, can be sticky and integrate Google URL Builder. It is responsive. 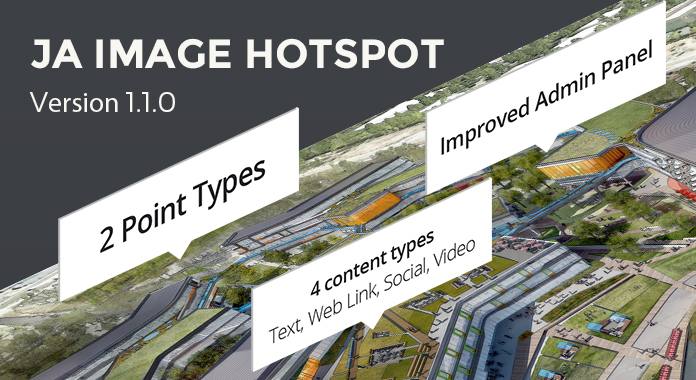 We have just released new version for JA Image Hotspot module - version 1.1.0 with new features and improvements. The free Joomla extension allows you to upload any static image then fill in information for a specific area that you want to point out in your image. You can add unlimited markers, each marker can have its own title and description. 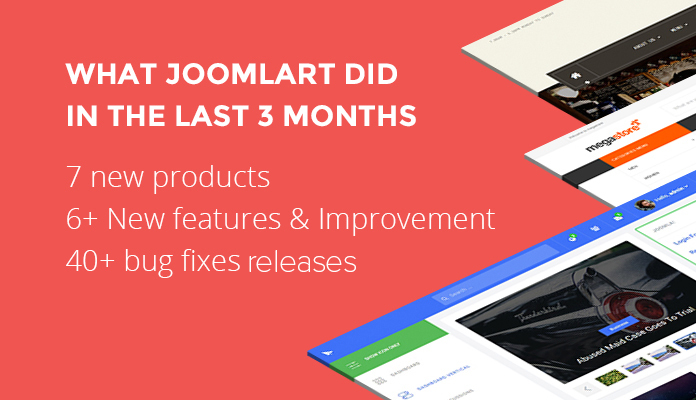 Joomla 3.6.2 has been released to fix some issues relate to sessions on PHP 5.3 and email cloaking bugs. 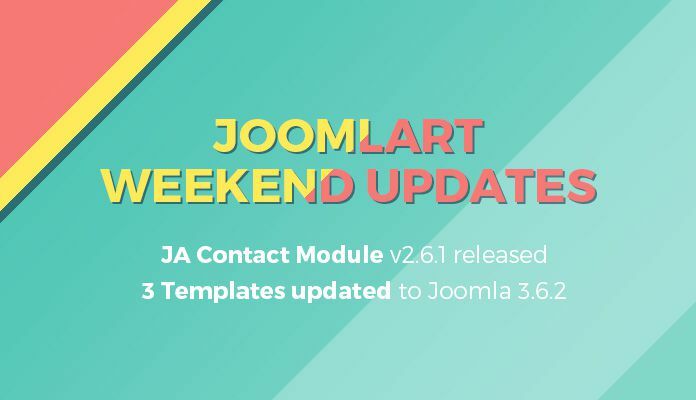 We tested and exported quickstart packages for framework and 17 Joomla templates, these templates have been tested for Joomla 3.6.2 and no bugs were found, so the version remains unchanged and only the quickstart package has been updated to include Joomla 3.6.2. We will test and export more templates in coming days. In addition, we also released JA K2 Filter component version 1.2.3 with new feature, some improvement and bug fixes. 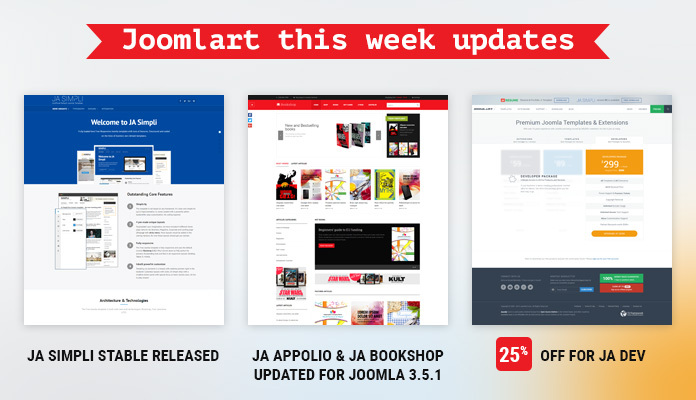 This week, JoomlArt team has following major updates: JA Simpli stable version released, 2 more templates updated for Joomla 3.5.1 and 25% OFF on our JA Developer membership. 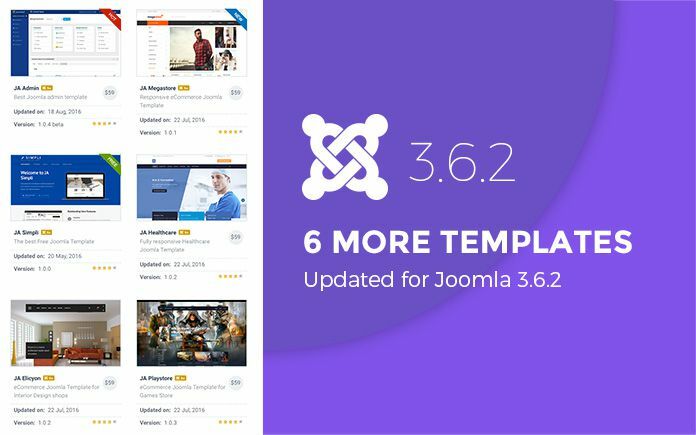 Two exciting things happened in last few days, Joomla 3.5 stable is out with cool new features and K2 also released long awaited updated version. They both increased our work load but we had been eagerly waiting for them. 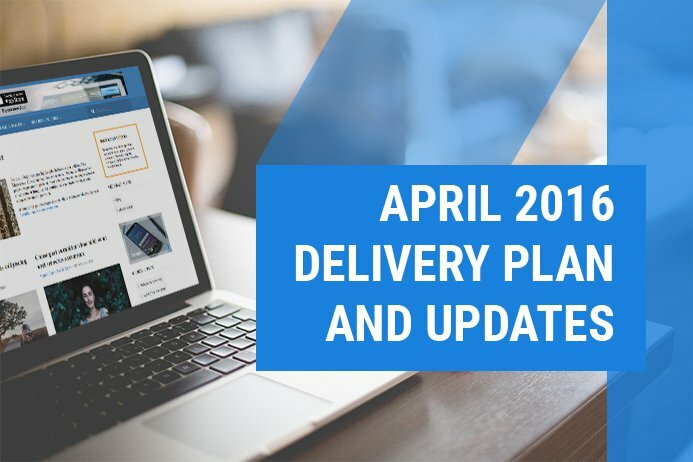 March is almost over and in the next 30 days this is what we plan to deliver for our members. This 2016, we re-energize our partner program with the best Joomla extension developers from all around the world. 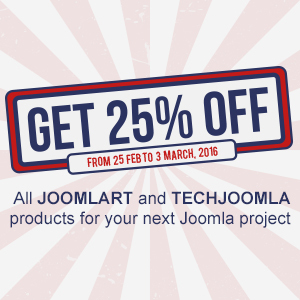 And being a member of JoomlArt has never been so valuable. 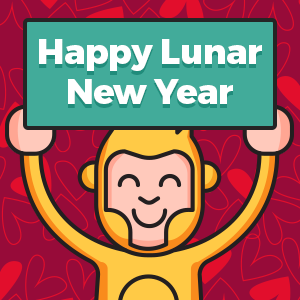 The Lunar New Year of the Monkey is all over South East Asia now. Our friends are celebrating the most joyful and happiest moment of the year. At the same time, comes St. Valentine's Day, a special occasion to send our valentines for our love ones. 'Tis the month of love, happiness and prosperity. 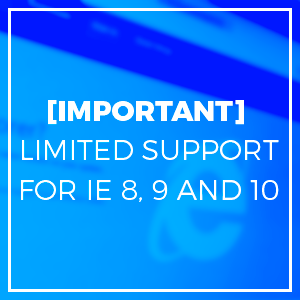 JoomlArt has an important announcement: Starting today, our templates will have limited support for Internet Explorer 8, 9 and 10. We will continue to fully support Internet Explorer 11 and the new Edge browser of Microsoft. Season’s Greetings! Be sure to take some time out of your busy life to enjoy the magic of the holidays this season.